Below you'll find three (3) lesson activities from the Great Lakes Bioenergy Research Center that are designed for Middle School and four (4) that can be used in High School to fulfill a variety of educational objectives. They empower students with critical thinking about the life cycles and sustainability of biofuels and fossil fuels. Selected applicable NGSS Performance Expectations MS-ESS3-3. Apply scientific principles to design a method for monitoring and minimizing a human impact on the environment. HS-ESS3­4. Evaluate or refine a technological solution that reduces impacts of human activities on natural systems. HS-LS2­7. Design, evaluate, and refine a solution for reducing the impacts of human activities on the environment and biodiversity. 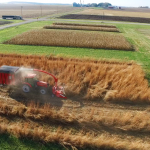 The video here and following information are designed as an introduction and companion to the four (4) lesson activities at the bottom of this page from our educational partners at the Great Lakes Bioenergy Research Center. Scientists around the world agree that climate change is impacted by humans burning fossil fuels. 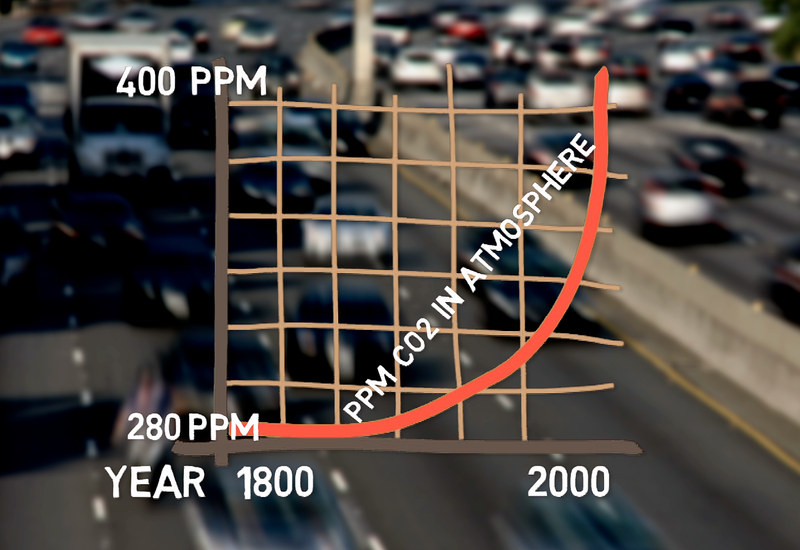 Then there’s ozone, methane and sulfur dioxide adding to today’s air pollution soup. Yet carbon dioxide, released from the constant burning of fossil fuels to produce energy, remains the 500-pound gorilla lurking in the atmosphere. From fossilized wood (coal), to natural gas (methane), to the assortment of refined fuels made from crude oil, the energy they produce powers almost every fragment of society. Essentially everything you see moving or lighting up is powered in one way or another from burning fossil fuels. Nope, there’s no free carbon dioxide ticket when you turn on the TV or use your cellphone either. Chances are that your electricity to power them also comes from burning one or more fossil fuels – not to mention the various fossil fuels used to manufacture those items and countless other products we use daily. 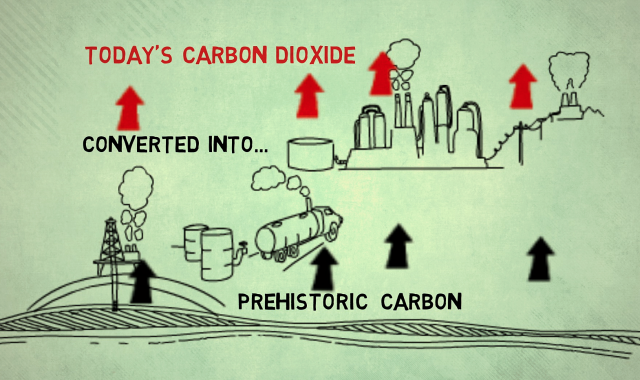 If you asked most people on the street what fossil fuels are made from, you might be surprised at the answers. See and hear some for yourself by watching the video quiz on this linked “Energy Science” page or the third video thumbnail on the right. The answers you’ll hear might be funny or unsettling. It’s logical to imagine that solid or liquid fossil fuels might be formed from something that was solid or liquid. Makes sense, right? But the science behind their formation is the same today as it was hundreds of millions of years ago when most fossil fuels were being formed. 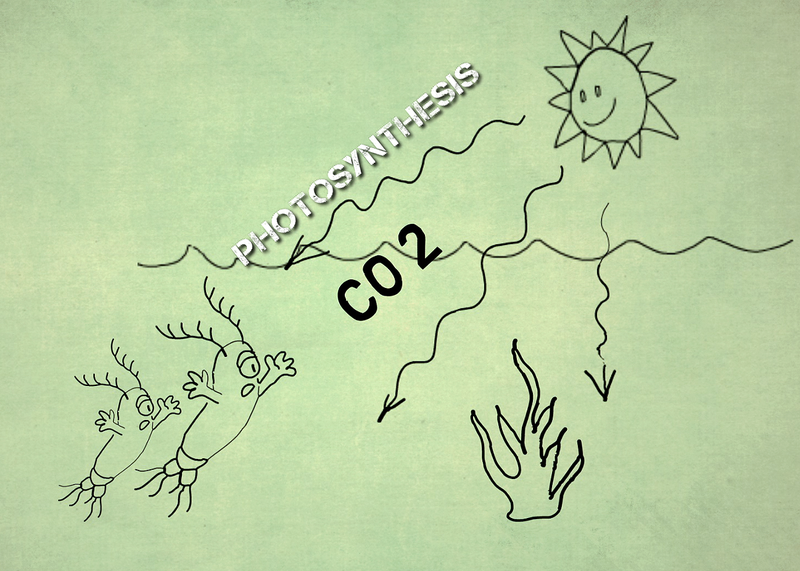 All life, including fossils and their preserved carbon, came primarily from CO2 in the atmosphere through the process of photosynthesis. (See the linked video above on Decoding Photosynthesis to get a fresh perspective on that science.) Despite that fact, when many people see a tree or a plant, they think that the solid parts came from the soil, water, or nutrients in the ground. Though they played a role, the carbon-based materials in the plant were formed using carbon dioxide from the atmosphere that’s converted to plant cells using the energy of the sun. This process of photosynthesis also accounts for creating the base of the food web in our oceans too – and was also the key in the formation of most ancient lifeforms that make up natural gas and crude oil. 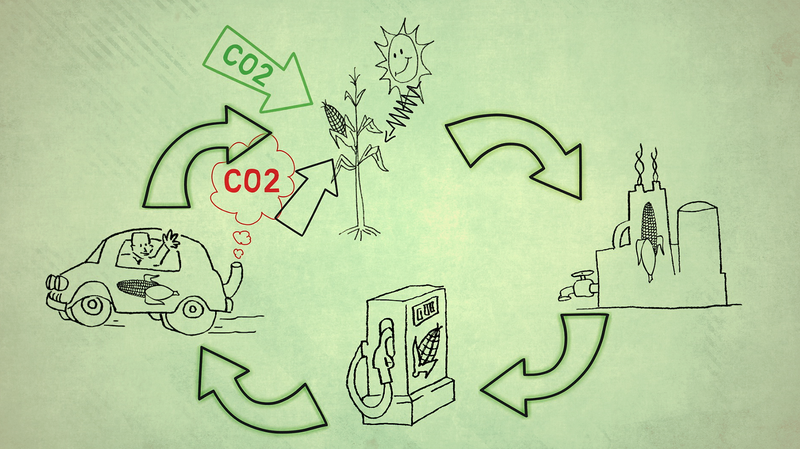 Now that you’re armed with all this knowledge, your logical question might be, Alright, so how can decoding the different CO2 life cycles of various fuels offer us insights to solutions for the future of the planet? Well, that’s what the video here and linked classroom lesson activities can help you discover. You really didn’t expect us to tell you all the answers. Besides, we’d feel horrible cheating you out of the thrill and enlightenment of self-discovery with your peeps. So watch the video above as your primer to become familiar with the topic, then share the free linked lessons from our educational partners with your teacher and classroom. 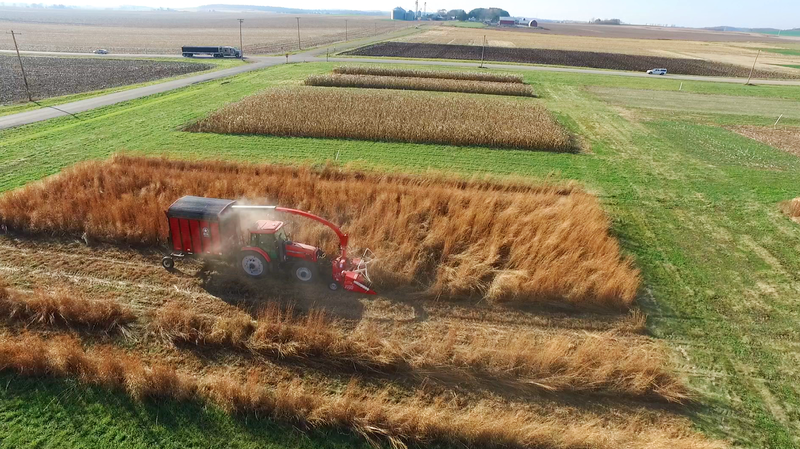 Also check out our “Bioenergy Careers Callout” video. 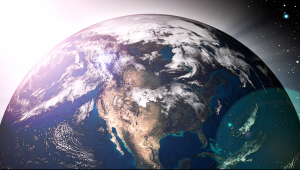 To discover more about our collective energy future, explore the websites of our key partners here in energy education to expand your energizing journey. 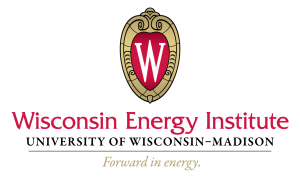 The Wisconsin Energy Institute (WEI) supports the energy-related research of more than 100 faculty and scientists on the University of Wisconsin­­­–Madison campus. As a nationally-recognized, interdisciplinary research institute, they; 1) Discover and deploy innovative energy technologies and public policy solutions, 2) Provide a public forum in which to learn about and discuss energy challenges, 3) Engage industry in high-impact research collaborations. 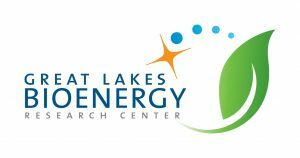 The Great Lakes Bioenergy Research Center (GLBRC) is led by the University of Wisconsin-Madison, with Michigan State University as a major partner, and is one of three bioenergy research centers established in 2007 by the U.S. Department of Energy (DOE). The Wisconsin K-12 Energy Education Program (KEEP) was created to promote energy education in Wisconsin schools. With support from Alliant Energy, Madison Gas & Electric, We Energies, Wisconsin Public Service, WPPI Energy, and Xcel Energy, KEEP leverages teacher education to improve and increase energy literacy in Wisconsin’s K-12 schools as a means of contributing to statewide energy savings. These materials were developed by teachers and professional educators associated with the Great Lakes Bioenergy Research Center with input from our scientists. The materials are designed to engage students in learning about science and engineering challenges associated with producing sustainable biofuels. 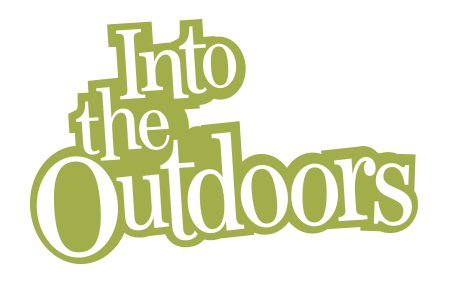 Playing this game should help you to trace the transfer of energy and carbon through living organisms and non-living systems (like power plants), plus identify energy conversions in the carbon cycle; and describe how energy is used and "lost" during transfers in the carbon cycle. These energy activity guides will help you as you develop your energy education curriculum. Activities found in these guides are specific to Wisconsin and align to Wisconsin's Model Academic Standards. Investigating Fuel Sustainability is a set of lessons addressing the socio-scientific issue of sustainable fuels. Students explore the meaning of sustainability and how it applies to fuel production and use. 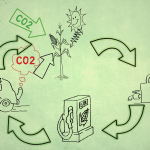 Life Cycle Assessment of Biofuels 101 asks students to begin to consider the life cycle energy and carbon dioxide emission costs of gasoline, corn ethanol, and cellulosic ethanol. Quantitative Modeling of Biofuels Life Cycles allows students to compare the net energy and/or net greenhouse gases (GHG) emitted during the life cycle production of ethanol from switchgrass, diverse prairie and corn stover. • When you see a tree or plant, you'e actually looking at carbon dioxide that was converted from the atmosphere through photosynthesis. • Crude oil is made up of ancient decomposed marine life, mostly algae and tiny lifeforms. Sorry, no dinosaurs or burried forests. 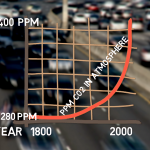 • CO2 absorbed by the oceans contributes to acidification of oceans and threatens the base of the food web... which impacts everything up the chain, including us humans.